Alison came to Ithaca to find her place in our farm community, specifically for flowers. 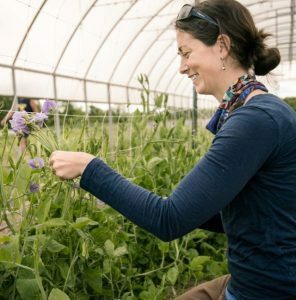 After apprenticing at Littleflowers Farm for the tail end of last season, she joined Groundswell’s Incubator Farm to pursue her own cut flower business. 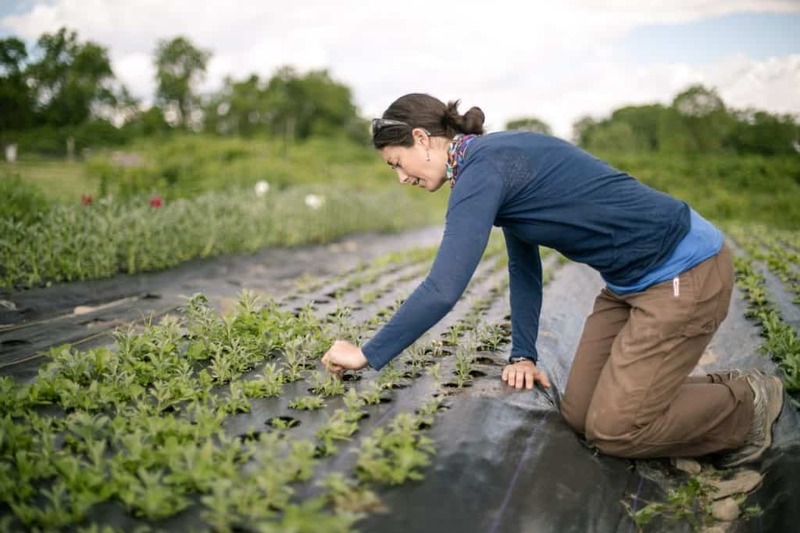 How did you get started with Groundswell’s Incubator Farm program? Then as the deadline approached, I realized – why not! There’s all the infrastructure here. It’s such a prime situation in that I don’t have to make all these capital investments right off the bat. I have irrigation, I have a hoop house, I have fencing… there’s even a fridge on the farm! I had a strong foundation with growing, and I wanted to move into flowers, and this was such a perfect opportunity. So I applied. I found out in December that I had the plot, and I just immediately started ordering things. What has been the most valuable part of the Incubator Farm program? Well, I just started planting this season, so I haven’t seen everything the program has to offer. So far though, the land access is so colossally huge. There’s a cooler, fencing, irrigation, hoop house… I planted in early February and had flowers for a month already! It’s so amazing, having access to land that’s so well set up to grow on. Before you started at the Incubator Farm, you took the Farm Business Planning course. How did that support you? That was great for a few reasons. The first is obvious– here are people that are telling you exactly what you should be thinking about to be successful financially, marketing-wise, and with specific regional expertise. The other side of that was meeting people doing what you want to be doing. I was new to the area and so were a few other people in the class, so being able to network with people who have the same struggles and the same fears as you is just so encouraging. The people facilitating the class were also just awesome humans – Leslie Ackerman just has so much pizzaz, and she made things so accessible. I have a business degree and I vaguely remember accounting, but translating that into real life was never actually a thing I had to do. Leslie made that so simple. Monika Roth knows the area so well. Matt LeRoux is like a marketing hero. Mary Kate is an amazing facilitator. How has the Incubator Farm community benefited you? Morale-wise, definitely! Farming can be solitary work, but having other people literally right around you doing the same thing you’re doing can really fuel you back up. Why is what you’re doing important? 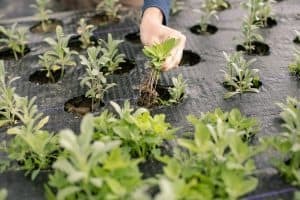 I had been growing food organically, and that was really obvious to me. Its food, it’s sustaining people’s lives. But switching to flowers – I was like, is this important? People don’t need flowers, they’re a luxury good. But I worked with someone at a really diversified farm and I remember this one time that he gave a forestry tour. He explained that forestry gets this bad reputation, but are you using toilet paper? Shouldn’t it be sustainably sourced? So that shifted my view – people are consuming flowers, one way or another. Weddings, valentine’s day, corporate events… flowers are being purchased, and 80% of them are being shipped in from elsewhere in the world. People are buying these things one way or another and why not do it locally and organically? And selfishly, I just feel so lucky to be working with such beauty all the time. Where do you think you’d be without Groundswell? Apprenticing. There’s no way, without this land access, that I would have been brave enough or financially stable enough to take the plunge this season. Groundswell has provided me with the encouragement, the support, and the land access to farm right now. It’s so incredible to be able to stroll in here and have everything set up for you, with mentorship, and classes, and someone here weedwacking the fence-line so I can focus on my flowers. Groundswell Center supports individuals as they develop agricultural skills and grow profitable, equitable and ecologically-sound farm and food land-based livelihoods. 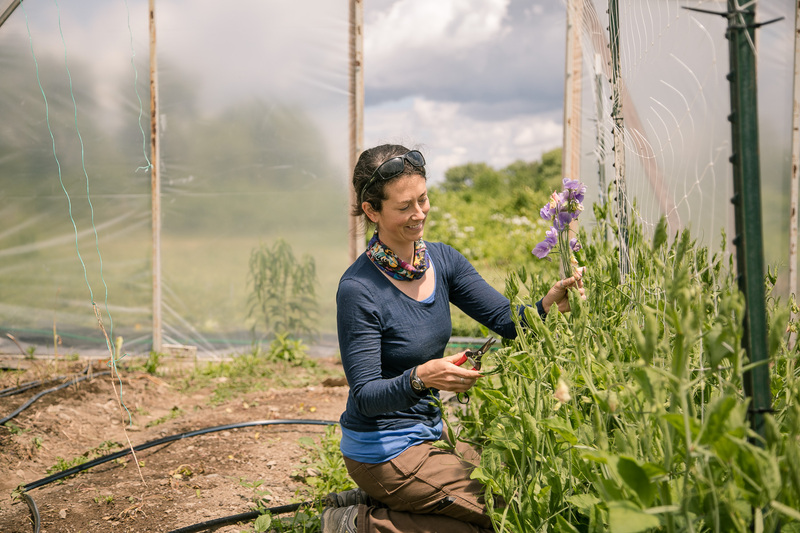 We’ve supported Alison through our Farm Business Planning course and Incubator Farm program.